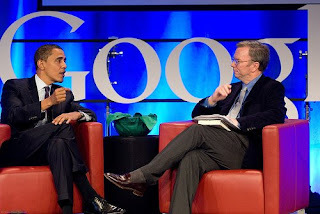 In what is a very cool and telling move, president-elect Barack Obama has selected Google CEO Eric Schmidt to serve on his 17-member Transition Economic Advisory Board (TEAB). Schmidt joins a number of notable economists, including billionaire Warren Buffett, former Fed Chairman Paul Volcker and former Treasury Secretary Robert Rubin. Obama's decision to create the TEAB indicates the urgency of the current economic crisis and how quickly he wants to attend to it. Further, the addition of of Schmidt shows that he actually has a vision for how it's going to get re-jigged and revitalized. Schmidt's selection to the advisory team shouldn't come as a complete surprise. 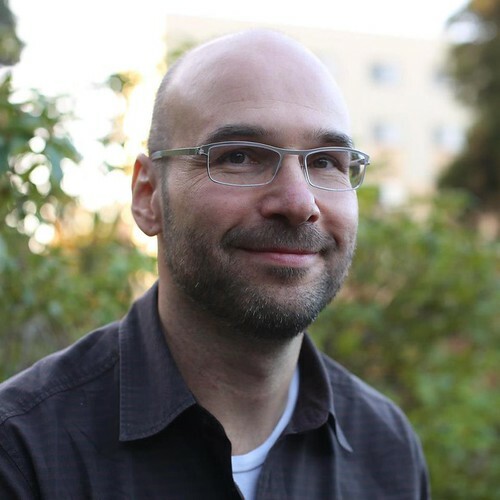 He was an ardent supporter of Obama during the election campaign, and it's even been suspected that Obama will choose him to be the nation's tech czar (though Schmidt as gone on the record as saying he's not interested). This is a good move for Obama, and it's the kind of opportunity that John McCain might have missed out on. Economies in post-industrialized and highly technologized nations are changing quickly. The manufacturing sector is ailing and there's only so much that can be done to help it in its current form; more expansive visions are required. Innovative visions for future industries and future jobs are in order -- including the creation of jobs that will stay within the confines of America's borders. Specifically, both Schmidt and Obama have shown an interest in promoting green technology to help revitalize the economy. For example, Schmidt has made the case that laid-off autoworkers in Michigan could be put back to work building batteries for use in hybrid vehicles. In addition to this approach, I would like to see a greater emphasis placed on the fostering of the biotechnology sector, information technology (including the ongoing development of AI), the private space industry and emerging technologies such as nanotechnology. Schmidt will also be working closely with Obama as the TEAB works to complete the new stimulus package -- a package that will go a long way if painted with that magical Google brush. It's this kind of thinking that bodes well for the incoming administration; the future of the United States' economy most certainly needs an injection of that characteristic Silicon Valley way of thinking. I wish I could see Kurzweil too in one his advisory boards!